It would be an understatement to say that people are becoming hip to the health benefits of omega-3 fatty acids. It’s one of the reasons people are eating more fish, the main source of omega-3s. Americans increased their seafood consumption to 15.5 pounds per person in 2015, up nearly a pound from the previous year—the biggest leap in seafood consumption in 20 years, according to one report. Omega-3 fatty acids are what’s known as essential fats. That means the body can’t make them from scratch and has to get them from food. But essential is also an apt way to describe omega-3s due to the key roles they play in the body. For example, omega-3s are an integral component of the membranes that surround each cell in your body, with levels of one type of omega-3 especially high in the eye, brain, and sperm. Omega-3s also have many functions in the heart, blood vessels, lungs, immune system, and endocrine system, which governs the production of the hormones that regulate everything from metabolism to mood. It’s likely due to these effects that omega-3s have been shown to provide health benefits, most notably as a way to help prevent heart disease and stroke—the conditions for which there’s the strongest evidence. Indeed, a large body of scientific research suggests that higher dietary omega-3 intakes are associated with a reduction in the risk of heart diseases. That’s why the American Heart Association (AHA) recommends that all adults eat at least two weekly servings of fish, particularly oily fish like salmon, tuna, and anchovies, the type richest in omega-3s. Question is, will taking a supplement offer the same heart health benefits as fish and other food sources of omega-3s? The short answer: There might be some benefit in taking fish oil supplements for some people, but not for the general public. While research continues on both dietary sources of omega-3s and supplements, there are a number of studies showing that fish oil supplements don’t get into your body or blood nearly as well as fish in food form. This isn’t surprising, as our bodies are much better at taking in the nutrients from real food. So far, the direct evidence that fish oil supplements improve heart health is underwhelming. 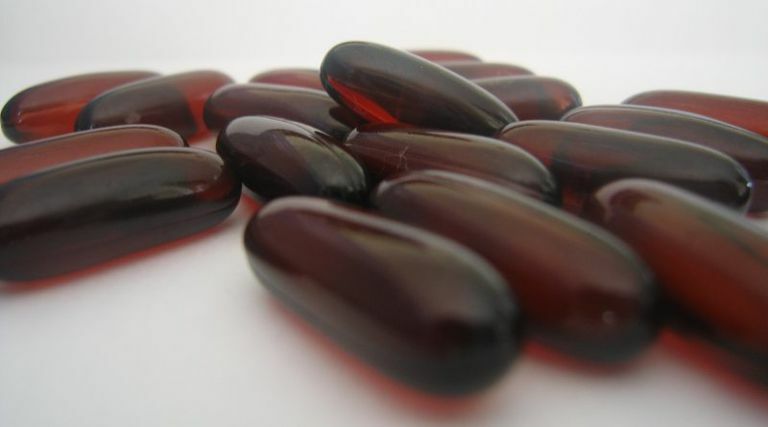 A 2013 study published in the New England Journal of Medicine found that fish oil supplements did nothing to reduce heart attacks, strokes, or deaths from heart disease in people with risk factors for heart disease. Another study from 2018 that reviewed 10 prior studies reported only a small effect for those who already had heart disease or a heart attack: Fish oil supplements reduced the risk of death by 7 percent in these patients and the risk of nonfatal heart attack by 3 percent, not enough to be considered significant, according to the study, which was published in the journal JAMA Cardiology. The bottom line, according to the AHA, which issued an updated advisory about the benefits of fish oil supplements in 2017: They may slightly lower the risk of dying of heart failure or after a recent heart attack, but there’s no good evidence that they prevent heart disease. Alzheimer’s disease: Low DHA status may be a risk factor for Alzheimer’s disease and other types of dementia, but it’s not yet known whether fish oil supplements can help prevent or treat these cognitive disorders. Breast cancer: Researchers have hypothesized that higher intakes of omega-3s from either foods or supplements might reduce the risk of cancer due to their anti-inflammatory effects and potential to inhibit cell growth factors. Evidence is increasing that higher intakes of dietary and supplemental omega-3s are associated with a lower risk of breast cancer. In one study, women who took supplements had a 32 percent lower risk of breast cancer than those who didn’t take them. While promising, more research is needed to confirm that fish oil supplements can reduce the risk of breast cancer. Dry eye: Research using fish oil supplementation has had mixed results in reducing the symptoms of dry eye, which occurs when the quantity and/or quality of tears fails to keep the surface of the eye adequately lubricated. Rheumatoid arthritis: Fish oil significantly decreased joint tenderness and stiffness in people with rheumatoid arthritis and reduced or eliminated the need for anti-inflammatory medication in one review study. “Fish first” is the mantra of health experts, but for people who don’t eat enough seafood, there are plant-based sources. Unlike fish, plants provide alpha-linoleic acid (ALA), which your body can convert into EPA and DHA in limited amounts. It’s easy to add plant sources of omega-3s to your diet: You can sprinkle pumpkin seeds to a salad, cook with canola oil, and snack on walnuts. If you don’t eat fish, it’s likely that plant sources alone may not provide enough omega-3s. If that’s the case, talk to your health care provider about taking a supplement to fill in the gaps. This is particularly important if you’re pregnant, since expecting women don’t eat enough fish (only 27 percent did in one study), and omega-3s are required for the development of the growing baby’s brain. Fish oil supplements are generally safe, as long as you don’t have a reason to avoid them and you follow the label directions. But like any supplement, they can have side effects (for instance, taking them for extended periods of time may lead to vitamin E deficiencies in some people), as well as interact with some medications—most likely diuretics, beta blockers, and blood thinners. Keep in mind, too, that because nutritional supplements aren’t highly regulated in the U.S., it’s important to purchase a product from a reputable source. Balk, E., and A. Lichtenstein. Omega-3 Fatty Acids and Cardiovascular Disease: Summary of the 2016 Agency of Healthcare Research and Quality Evidence Review. Nutrients. 2017. 9(8):pii: E865. National Institutes of Health. Omega-3 Fatty Acids. https://ods.od.nih.gov/factsheets/Omega3FattyAcids-HealthProfessional/#cancer.